Amitabh Ghosh is the name which really don't seek for any introduction as sometimes sunlight also comes under the darkness of clouds. But this time, the name is shortlisted as the only Indian author among 10 finalists for this year's Man Booker International Prize for his astounding contribution to English Language writing. The 58-year-old Ghosh had narrowly missed out on the Booker Prize back in 2008 when he was shortlisted for his work ‘Sea of Poppies’. The international version of the popular literary prize, to be held in London on May 19, is awarded every two years to a living author who has published fiction either originally in English or whose work is generally available in translation in the English language. The others on the list include from Argentina, Lebanon, Guadeloupe, Mozambique, the United States of America, Libya, Hungary, Republic of Congo and South Africa. born on 11-07-1956 in Kolkata ( West Bengal, India ) to Lieutenant Colonel Shailendra Chandra Ghosh. He was a retired officer of pre-independence Indian Army. His mother tongue is Bengali. He was educated at Doon School ( Saint Stephen's College, Delhi University ) and then from Delhi School of Economics. Then he moved to Oxford University for his further education. He gained his Master's in Philosophy in Social Anthropology from there under the guidance of Peter Lienhardt. His started his career by working with Indian Express Newspaper in Delhi. Amitabh currently residing in New York with his soulmate Deborah Baker. She also authored some books and some of them are n Extremis: The Life of Laura Riding (1993) and a senior editor at Little, Brown and Company. They have two children, Lila and Nayan. He has been a Fellow at the Centre for Studies in Social Sciences, Calcutta and Center for Development Studies in Trivandrum. 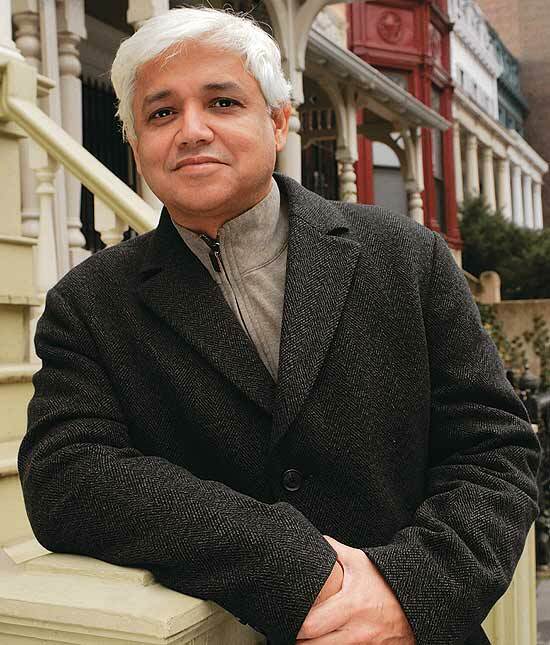 In 1999, Ghosh joined the faculty at Queens College, City University of New York, as Distinguished Professor in Comparative literature. He has also been a visiting professor in the English department of Harvard University since 2005. 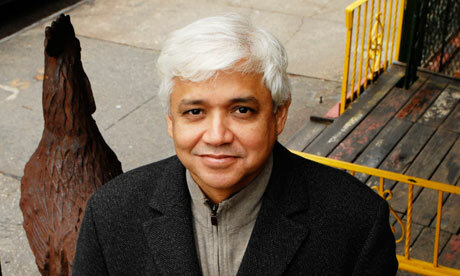 Ghosh subsequently returned to India began working on the Ibis trilogy, of which two volumes have been published to date, Sea of Poppies and River of Smoke. 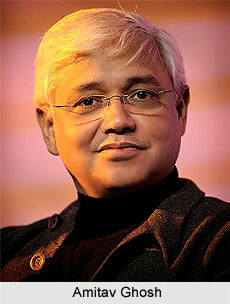 He was awarded the Padma Shri by the Indian government in 2007. In 2009, he was elected a Fellow of the Royal Society of Literature. Ghosh made his debut with the novel "The Circle of Reason" in the year 1986 followed by some more like " The Shadow Lines", "The Calcutta Chromosomes", " The Glass Palace", " The Hungry Tide" and much more. a ) Circle of Reasons - Prix Medicis estranger. b ) The Shadow Lines - Sahitya Akademi Award & the Ananda Puraskar. c ) The Calcutta Chromosomes - Won the Arthur C. Clarke Award in the year 1997.
d ) Sea of Poppies - Shortlisted for 2008 Man Booker Prize. c ) Flood of Fire - Year 2015.